Over the past year we have covered more than 5000km by bicycle, most of it in Eastern Europe and a large portion of that in Poland, where we currently live. While every day bicycle touring is a revelation in its own right, there are always a few little surprises along the way worth noting. The thing about cycling in Eastern Europe that you won’t find in Western Europe is the lack of crowds. Yes, there are plenty of must-see tourist attractions which draw visitors, but never have we encountered the crushing masses of tourist hordes in Eastern Europe like in Paris or Amsterdam. Not taking anything away from these fine Western European cities, but Eastern Europe is dominated by a countryside with far less people. Not to mention the roadways. The crowd of bicycle tourism is only just now making its way eastward, past the former Iron Curtain. Many days in Poland we are all alone even on marked and ‘well-travelled’ historical routes. 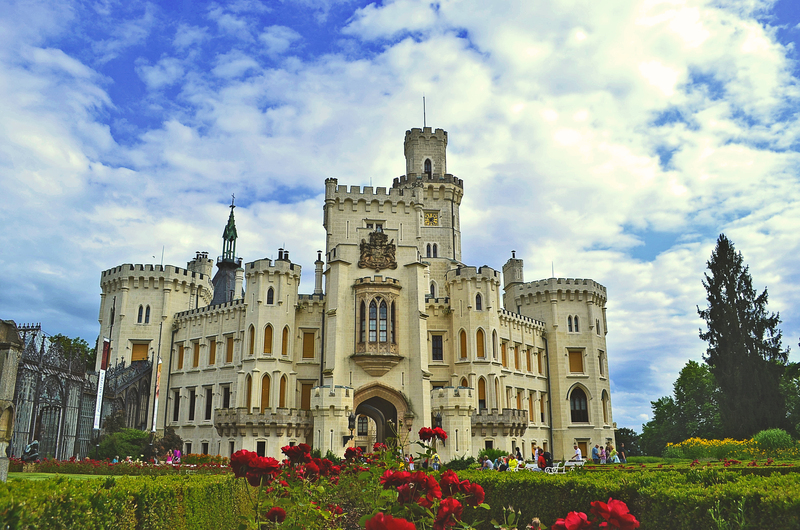 One tends to think of places like England or Bavaria for magnificent castles, but historically there were lots of knights and kingdoms dotting the landscape of Eastern Europe. In some places, the castles are very well-preserved and known tourist attractions. Some of our favorites have been the ones that are a bit of a crumbling ruin. The quiet remains can really transport you to another time. The stone work, the architecture and the landscape views are as romantic here as anywhere in Europe. Both Czech Republic and Poland are particularly well covered with ancient Castles, Knights’ Quarters and Guard Outposts. We have been known to veer significantly from our route in order to visit these relics. We’ve been to the grand churches in the big Western European cities, like Notre Dame in Paris or St. Peter’s Basilica in Rome, and they are indeed spectacular. But the old village churches of Poland, Czech Republic and Slovenia in particular possess a quaint, old-world charm to remind you what grandeur meant for the common folk. Our special favorites are the old wooden churches in Poland, some of which have amazing persevered interiors with original artwork. No need to fight the crowds here—besides of a few of the practicing faithful, you’ll have it all to yourself. They also make great landmarks between towns because a village is always defined by its church and most are marked on maps. Some are definitely more striking and impressive then others, but when you come to a particularly unique one, it is really one of the best sightseeing treasures. This is a slight extension of #1, but it bears repeating on its own right. Most of the secondary roadways in Eastern Europe are small and quiet compared to their Western neighbors. In Czech Republic, which has an excellent freeway system that draws away most of the heavy traffic, the secondary and local roadways are often so free of autos that we feel like we are on a private cycling road, even in the height of the summer season. In addition, there is an abundance of farm and agricultural roads at your fingertips. While people may warn you about the awful drivers (and they are right! ), luckily for bike tourists, you can generally avoid them through this wonderful network of back roads. Sometimes the farm roads can have a bit of gravel or dirt, but they are generally rideable and enjoyable on just about any type of bike. The solitude in the countryside gives you a heady feeling that is in part to the fresh air and in part to the lush, surrounding greenery. At first this may sound a bit strange, but when you appreciate the easy access to fresh foods along your cycle route, you begin to see why bicycle touring in Eastern Europe can be a gastronomic delight. Pack light on the food as there tends to be a market about a meal’s ride away. This is especially true in Poland, where every village has at least one small food shop or farmer’s market, on or near the village square. These markets have more food–and real food, with fresh dairy, meats, vegetables, fruits, breads, nuts and anything else to make a meal–than most large convenience stores in the US. Local markets are often social centers, too. There are usually a few chairs and benches where the locals will gather, and they can also make a great rest stop for a snack. Carolyn enjoying a post ride beer. Of course there are regional variances, but you can generally find some great local and regionally produced Pilsner beers in Poland, Czech Republic, Slovakia and even through the Western Balkans in Slovenia and Croatia. We have stumbled across some small breweries in Poland with fine handcrafted beer, including a terrific cherry beer and some fine honey beers, too. In Poland we have also seen the recent rise of “micro-brewed” style beers, covering some styles normally only seen in US Craft breweries. Czech Republic, Slovakia and Hungary are also known for their fine and inexpensive wines. These wines are typically high quality and a fraction of the price that you’d find in the West. Of course you can find these at the local shops and farmer’s markets, but for a special treat look to the local Monks. Especially in Czech Republic, many monasteries still produce wine for sale to the public. In Zloty Koruna, Czech Republic we were pleased to buy a 2€ ( about $3.00), 2 litre bottle of white wine from the local monastery that might well have been some of the best wine we ever had. 7. 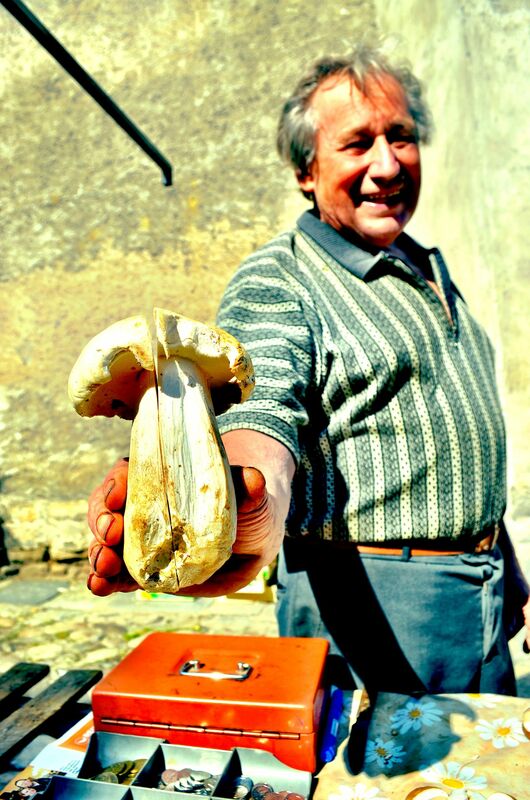 Friendly, helpful locals, but you have to ask first…. Eastern European manners may take some getting used to. People generally don’t smile at first and won’t typically greet you as ride by. But if you need to ask for help, or directions, or to ask them about their local sights, you will be surprised at their genuine excitement that you are interested in their little slice of the world. 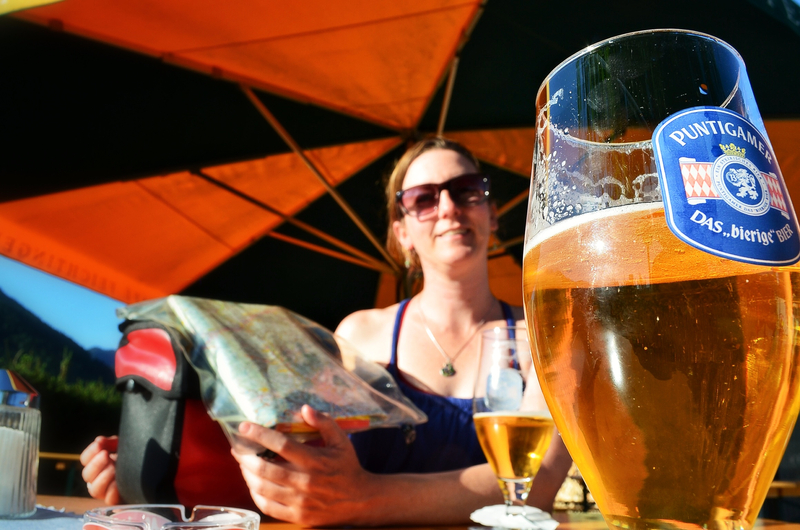 One of our favorite people moments was sharing a beer and getting some local advice on the best routes and the best things to see from a Silesian local in a combination of broken English, German and Polish( again at the village square food market). All we had to do was pull out the map, point to it and a conversation was born. In the smaller villages and towns, if there are any tourists at all, they generally aren’t foreign and the locals are so pleased to see people from far away places as visitors. When bicycle touring in Eastern Europe be prepared for a different experience from Western Europe. The cities don’t quite have the smooth veneer of their Western cousins, but that is no reason to shy away. In fact, from our perspective it is even more of a reason to go East. We have been pleasantly surprised with our bicycle excursions into Eastern Europe, and it is a great place for bicycle tourism to expand. You’ll find warm, friendly people, lower costs than the West and local communities that can greatly benefit from increased tourism, with much to offer in return. Head East. You’ll be glad you did. Thanks for the insight and happy travels. If you’re ever headed this way, we’re always happy to give more tips!! Czech is one our favorite places to tour. Depending on where you go and when, it should be great. Route signage is plentiful, although it helps to have a good route map (ShoCart Maps are super! or try http://www.cykloserver.cz) since the numbering system can be confusing if you don’t have a reference. The Krakow – Vienna Greenway is becoming a good route, as the bugs get ironed out – routing around industrial areas in the north, etc. Actually never done it though, we’d be curious to hear your feedback. Austria is great too, but sounds like you won’t be there for long. We can’t offer more than secondhand info about Hungary though. Not sure what you mean by dicey. Every report we’ve heard is positive. Curious how you decided on this route? A couple of blogs I read said that Hungary can be “interesting” in a not so good way. One described “being chased by gypsy prostitutes”. They didn’t elaborate further, but in general implied that it wasn’t the best part of their tour. Re: my route, I pretty much just looked for a route that would encompass many of the places I want to see. I’ll be starting / finishing in Vienna so I was trying to make a loop of some sort. I’m not wedded to this particular loop though if you or others can suggest something better. I haven’t heard of that particular issue, but I guess anything can happen. Your route sounds good to me, I think you’ll find these areas interesting – in a good way. One thing about the East, it’s not the West. This can be good or bad, depending on what you’re looking for. As for route options, check Crazy Guy on a Bike or our old trip journals (http://www.twowheeltravelblog.com/trip-journals). I really agree. 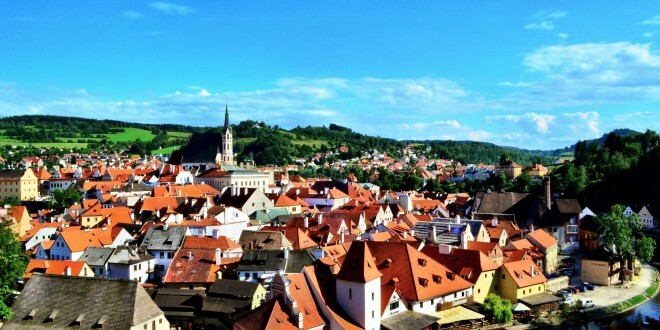 I love this post, you hit on a lot of the great reasons to head to Eastern Europe. I’ve never done a bicycle tour there, just rode my bike a bit in Croatia, but I hope to get a tour going one day. Less crowds, less money, rich experience. So much to do and see in all of the cool countries and cultures in Eastern Europe. And some really cool bicycle commuter cultures too! I would love to do this, but I don’t have any other foreign languages except for some Italian. Do you think I would be able to get by and communicate with basic phrases? Thanks for the heads up! I am planning on riding from Budapest to Berlin this summer and I was wondering how the roads are? Would a road bike do? Hey alanamadaleine, thanks for the comment. Sounds like a great tour. If by “road bike” you mean a road racing bike as opposed to a road touring bike, then yes, it should be fine. In our opinion, it would be best to fit the fattest tires possible, since you may encounter some dirt or rough road sections, depending on route choice. In this part of the world some “designated bike routes” are mixed terrain. Never anything too rough, but just be prepared to navigate gravel, Tarmac and dirt on the same route. Actually it’s kinda fun. Have a look a as well at the following article, mentioning 6 great bicycle cities in eastern Europe. – generation Y – of Eastern Europe. We give you a small eye-opener to some of the greatest upcoming bicycle cities in Eastern Europe.”…..
I’m planning to do a cycling trip from Berlin to Istanbul with a friend of mine this summer. What are possibilities regarding to (wild)camping? Are there plenty official campsites? And if not, how do the locals view wildcamping and would that be safe? Thanks in advance. Hey Willem, Wow! Sounds like a great trip. Wild Camping is so tough to put a finger on, since each place is different. I will say this, plenty of people do it, and do it successfully. It just depends on your experience selecting a good spot. Everyone has their own strategy, and each place is different. We have had the best luck by asking permission. I avoid using the word “camping” as it may imply we intend to stay longer than one night, instead ask if there is a place to place our tent for the night. You’ll be amazed at people’s generosity. That being said, you should have very little problem finding nice camping facilities, at least in the northern and central (DE, CZ, AT, SLO etc…) stretch of your journey. Not sure of your route, but Serbia, Bulgaria and Macedonia are a little less flush with campgrounds, but they do exist. Just plan ahead. Failing that there are always decently priced rooms and pensions in almost every town of any size. Keep us posted on your plan/trip. We’d love to hear more. IF you have more specific questions, don’t hesitate to ask. I am researching biking from Prague to Vienna, and I was wondering how often you saw campgrounds? And when you asked people for a place to put your tent for the night – were you just approaching random people in bars and restaurants? I am curious, as my previous trips have either had obvious campgrounds or wild camping was acceptable. Thanks! Almost every mid-sized town has some camping nearby. We never really approach ppl in restaurants / bars. But often cafe owners will know of options. Also check out cykelserver.cz for great mapping options with services. I am a 68 year old woman who’s done a lot of bicycle touring in Western Europe, Canada, New Zealand, and the U.S. Do you think it’s safe to do a solo tour of Eastern European countries? Although this is sort of a loaded question, since safety is so subjective, I’ll try to give you my objective opinion. I think this is a tough question to answer because it depends on how we define “safe”. Our experience tells us that most places are safe, but everyplace requires some basic precautions. Central and Eastern Europe are no exception to this. Although moderately free of violent crime against visitors, certainly petty crimes exists, just as it does everywhere. Could you find yourself in a sketchy situation here? Sure. Could the same thing happen anywhere? Absolutely. I’d say you’re as safe here as you are in the West, and at times safer. In the end, if you’re asking about violence against foreigners or against solo travelers, in particular women, I’d say don’t sweat it, but use your head. If it feels wrong, then don’t do it. In most Central and Eastern European places we’ve been, the locals are so pleased to see visitors who are genuinely interested in their home that they go out of the way to accommodate us. It’s pretty nice. Slovenia stands out in this regard, as does Poland and Macedonia. Sounds like a fun trip you have planned. Keep us posted as you plan, and feel free to ask more questions. I just want to throw in a female perspective here ; ) I’ve done some short solo trips around Poland and always felt safe. In fact, overall in Eastern Europe I feel safer. For better or worse, a sense chivalry lives on in this part of the world, so that means women aren’t really messed around with. You sound like an experienced bike traveler, but the only issues I would raise would be about route planning. 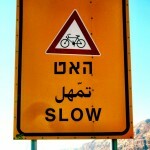 If you stick mainly to sign-posted and well-known cycling routes, the further “east” you go, the less there is of that. The term “Eastern Europe” has many different definitions. To people from the US, that usually means anything behind the Iron Curtain, although today in Europe many of those places are considered Central Europe. If you prefer easier route navigation and traveling good back roads, I highly recommend Czech Republic–it is very well organized for cycling but will really give you a taste of Eastern Europe. Of course, Slovenia is our current favorite, and we hope with our forthcoming guide to provide some great routes with something for everyone. Austria is one country right in between those two and is also one of the best cycling destinations in “Central Europe” (but with a very Western feel). If you are a little more adventurous, heading further south and east requires good route-planning to avoid the busy (and dangerous) roads and services (food and lodging) are less frequent. But I’d say that you’re definitely due for a trip further east! If you have more questions about specific destinations, just let us know! My wife and I had been researching a Dalmatian Coast trip in Croatia (which seems like a lovely spot) but there were always undercurrents about the busy coastal highway. Which led to more research for cycling places in Europe where we might not face the same traffic. We’re not experienced tourers, though we did rent cycles in Sicily a couple years back and with just a map spent 9 days on the road. The Czech Republic sounds like a good start but are there any other specific recommendations you can make about places so we can start planning now for a Fall trip? I think your assessment of the Croatian coastal highway is accurate. We’ve ridden the length of it twice, and it always amazes me how busy it is. The views and swimming in the sea are incredible, but there are loads of trucks and busses wizzing past at several streches. So, its a trade-off. That being said, the islands are what Croatia is all about. If you stick to island hopping on bikes and ferries it would be less hectic, except Split and Dubrovnik, where you no doubt will want to visit. 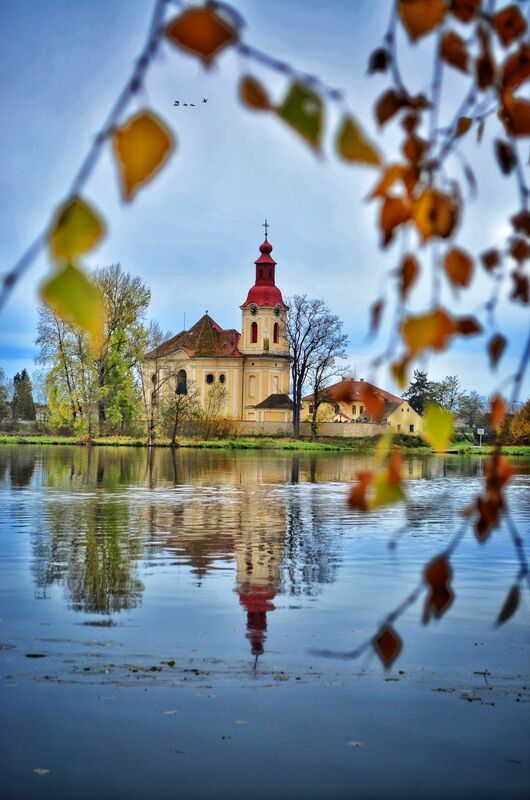 As for other “Fall” touring destinations, I’d say Czech is one of our favorite places to tour. 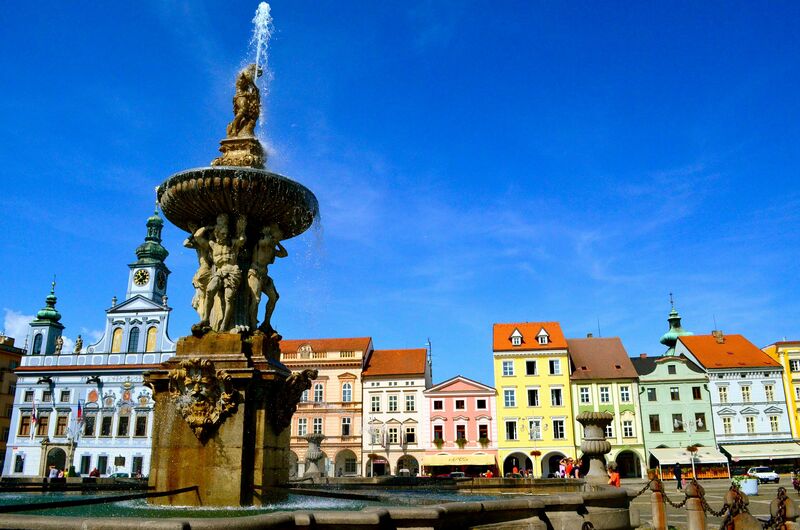 Quiet roads, well marked routes, relatively moderate pricing… The Prague – Vienna greenway route, with a side trip to Česky Krumlov, would be a great tour. We’ve done this route to CK, and loved it. Also, if you wanted to start further north, The Elbe River Route is a great one. We rode from Dresden to Prague over a long weekend in late October a couple years ago, it was sublime. Although Czech can be cold after mid-September. It can certainly be very rainy in the Fall, so be aware of that. I would suggest Italy, but sounds like you’ve covered at least the Sicilain portion. Right now we’re in Albania, and we love it. The roads are quiet, almost no traffic. Prices are LOW. And the weather in the shoulder seasons is perfect. There are some other things which work against it though, extremely rough roads in spots, some places are very poor and as a result can be covered in garbage and rubble, but the people are super friendly and the seaside is beautiful. Also you may consider Slovenia. Our all-time favorite place in Europe. But again, like Czech, it may be rainy after mid-September. When exactly are you planning to go? If you want to email us for more specific info, just use the “Contact” page and we’d be happy to share more. I’m currently in Berlin, and will be riding to Istanbul. The cities I’ll be hitting so far are, Dresden, Prague, Vienna. After Vienna I am at a loss. There are too many options, I have thought of heading further south to Slovenia and Croatia, then through Bosnia, Serbia and Bulgaria. Or Head east to Hungary, Romania and Bulgaria. Wow. Sounds like a great trip you have planned. 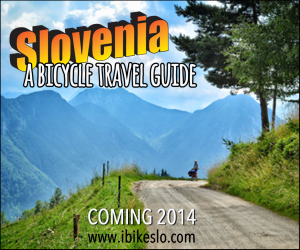 Of course we think Slovenia is about the best place in Europe for bicycle travel, so our recommendation would be head south from Vienna, into Northeastern Slovenia. Make sure to check out the Jeruzalem Hills, Ptuj and Maribor. Then head west into the Savinjska Alps – Logarska Dolina, down to Kamnik and Ljubljana, and/or west into the Soča Valley. From here you could catch up with the Adriatic at Koper and follow the Parenzana Trail(D-8) into Croatia. Do some Island hopping down the coast and pedal south through Montenegro, and Albania, then turn east through Lake Ohrid Macedonia, then Istanbul is about 7 days way. Thanks for the tips Tyler. With the places you listed, how long would you estimate it would take to get to Istanbul? At a fairly leisurely pace of course. You are right in every word about Poland. Poland is no longer the country, it was a thirty years ago. A kind of fresh look for many things from young, talented people makes our country and our nation better. Better for cycling tourism too. 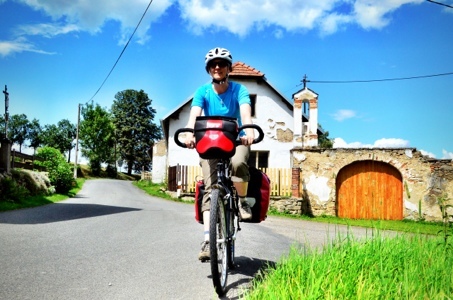 Feel free to ask about bicycle touring in Poland – I will try to help you to organise nice ride in our country. Hi, my partner and I are traveling from Australia to south eastern Europe (Croatia, Bosnia, Hungary and Czech republic) this August. we would love to do some cycle touring, but because of the distance and the fact we wont be cycling the whole time we wont have our own bikes. Are there any organised tour companies with bike hire included that you would recommend in the region? 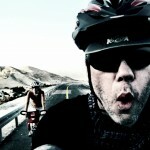 Hey Megan – you should contact bike tours direct. They’re linked in the article above. I like biking and I guess your website and all your tips are going to be very useful. I’m supposed to ride from Prague to Karlovy Vary pretty soon. Currently living in Prague, I can only recommend you to do a bike tour in the amazing Bohemia capital, but I did it with bike from Communist era and it was the best biking moment I’ve ever had. Every biker should do it and try old retro bike. Hi. My husband are starting a year long sabbatical and would like that to include a bit of cycling but would like to go with a tour so we can rent bikes and rely in a guide. I have yet to find any companies in eastern Europe that provide that service. Do you know of any? The last 3 or 3.5 weeks of our trip we will be getting from Slovenia to Gdansk where the trip ends. As we will not have time to cycle this all and will need a take a train at some point, we wanted to get tips on the best parts that we should not miss by train? We were originally thinking of taking the train from Maribor in Slovenia to Vienna, and then another train to southern Poland to spend our time cycling all the way up the country, but your comments are making us think we shouldn’t skip Czech Republic 🙂 any advice?! Thank you!